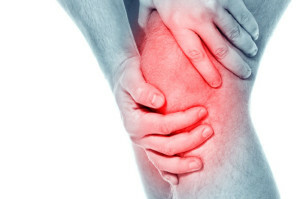 Surgery is sometimes needed to treat tears to the knee’s anterior cruciate ligament (ACL). If you are considering ACL surgery, concern about the recovery period is understandable. Below, we will take a look at what patients can expect when recovering from ACL surgery, as well as some steps patients can take to minimize their recovery time. ACL surgery can normally be performed arthroscopically; that is, the doctor operates on the knee by making tiny incisions, through which a camera and small tools are inserted. One of the greatest advantages of arthrosocopic surgery is the fact that it minimizes the recovery time. No hospital stay is required with arthroscopic surgery, and patients can return home the very same day. For the first few days, activity will be quite limited, and most patients will only be up to walking for a few minutes each day. Every day after surgery, you will feel a little bit better. The majority of patients are able to return to a desk job within a week. Patients with more physically strenuous jobs may need to stay away from work for 6-8 weeks. It can take even longer until full knee function is regained, and athletes may have to wait several months until they can start training as usual. Although the recovery time from ACL surgery can be significant, it is important to consider the recovery time in light of the alternative. Without treatment, recovering from an ACL tear would not happen at all, making the recovery time from surgery relatively short. If you have a knee injury, Dr. Howard Marans would be happy to hear from you. To schedule your consultation today, please click below and enter your information or call OC Orthopedic at (714) 979-8981.